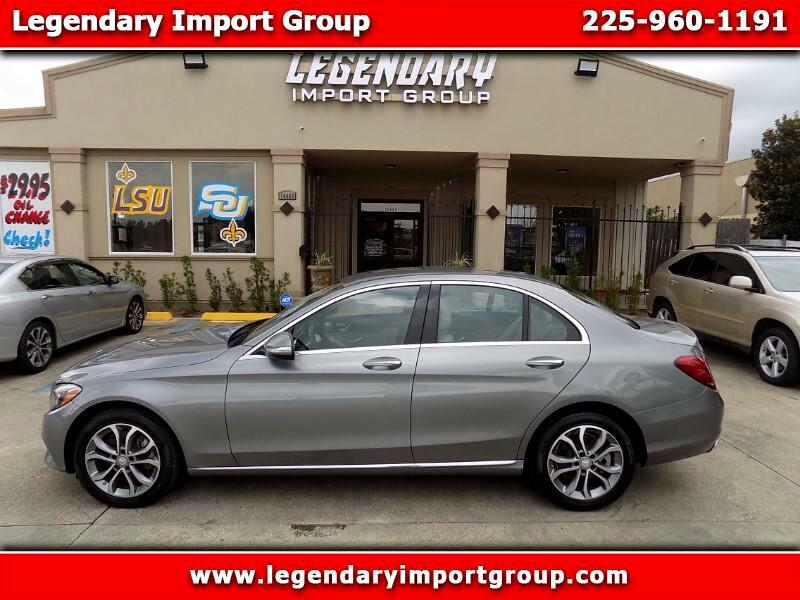 Legendary Import Group presents this CARFAX certified one owner, no accidents 2015 Mercedes-Benz C-Class 300 with only 29,583 miles. The high-ranking 2015 Mercedes-Benz C-Class has an opulent interior, comfortable handling, and energetic engines. The C-Class has solid all-around performance, with powerful engines, a smooth ride, and composed handling. The C-Class has one of the most luxurious cabins in the class, with a high-end design and first-rate materials throughout. The C-Class has a long list of standard features, including dual-zone automatic climate control, Bluetooth, HD Radio, a Wi-Fi hot spot, and push-button start. Contact Legendary Import Group to schedule your test drive today.